Ouya co-founder Muffi Ghadiali has announced that he is leaving the company he helped form. 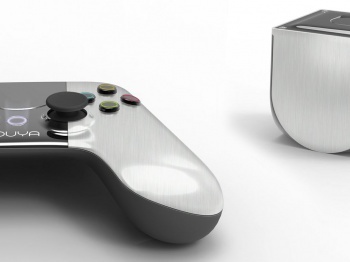 "OUYA is focusing more on the next phase of the business and product development. We've made some recent changes including the departure of Muffi Ghadiali who was invaluable during the launch of OUYA. As is to be expected, OUYA is an ever-changing business, and as we continue to grow our needs shift accordingly." According to the Tech Crunch source, the decision to leave was Ghadiali's alone. Ghadiali's previous employment featured stints at Lab126 (the Amazons projects division which birthed the Kindle), HP and Synaptics. The Ouya, which had tremendous Kickstarter support (it raised 900% over its initial funding goal), has been struggling to find its place in the consumer market. Met with lackluster reviews and lukewarm public reception, the company announced it was already planning a follow-up to the console, intended to address its concerns. Even a recent drastic price reduction has not been enough to help boost support for the console, which is having a hard time coaxing game developers. As for Ghadiali, you know what they say: when the ship is sinking, join the rats. But who knows? Maybe the Ouya 2.0 will turn things around for the company? I certainly won't be holding my breath, though.